SCE provides electric, water and gas service to about 4,000 year-round residents on Catalina Island and its 700,000 visitors each year. A pump at one of the island's wells. The second desalination plant on the island. SCE announces most island customers will return to lower water-rationing levels. Update, Feb. 23: The latest measurements taken at the Middle Ranch Reservoir show the current water level is now at 507 acre-feet. 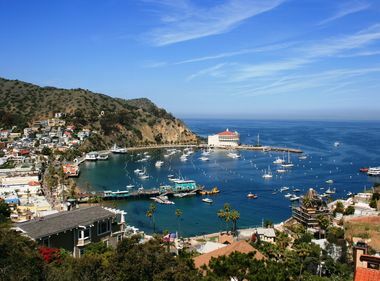 Recent storms are bringing some welcome relief to Catalina Island residents after five months of living with Stage 3 water-rationing levels due to California’s historic drought. At Tuesday’s Avalon City Council meeting, Southern California Edison, the island’s water utility, announced that more than 90 percent of the island’s customers will see a return to lower water-rationing levels. 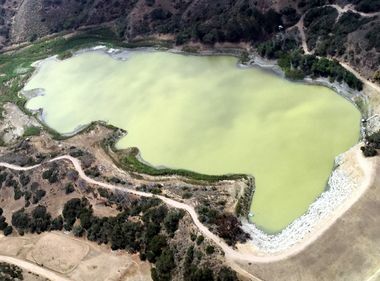 Data collected from the island’s Middle Ranch Reservoir and analysis of the island’s water systems led to SCE’s announcement that water-rationing levels for customers served from the reservoir and the desalination system will be lowered and returned to 25 percent. Customers in Avalon had been under 40 percent rationing, with customers in Hamilton Cove and on the rest of the island under 50 percent rationing before the announcement. 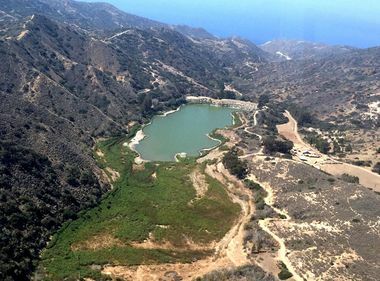 Catalina has been in mandatory 25 percent water rationing since August 2014 because of the historic drought and those conditions led SCE to implement Stage 3 water rationing on the island last September. “Although significant rain fell on the island in late January, the island nonetheless continues to feel the impact of this severe drought, with the Middle Ranch Reservoir at only 27 percent of capacity, even after the storms,” said Ron Hite, SCE’s district manager for Catalina Island. The latest measurements taken at the Middle Ranch Reservoir in February showed the current water level is now at 283 acre-feet. The total capacity of the reservoir is around 1,100 acre-feet and it reached a low of 121 acre-feet late last year. We are now comfortable that at this time ... we can return to lower rationing levels for most customers. The utility also announced that Catalina will remain under Stage 3 rationing and will retain Stage 3 restrictions on non-essential water uses, though customers may expect some relief from the water-use ceilings currently in place. Also, customers not served by the reservoir or desalination system will remain at 50 percent rationing for at least several more weeks pending continued monitoring and study of the underground aquifers and wells that serve those customers, including those in the West End, Isthmus, Whites Landing, Toyon, the airport, Rancho Escondido, Little Harbor, Blackjack and Empire Landing. The utility indicated that additional time is needed to understand the lasting impacts of the rains on the underground aquifers and wells — and determine prudent rationing level changes. Once that monitoring is complete and the data analyzed, SCE will announce if any changes can be made in rationing levels. “As soon as the scope of these storms became evident, we set to work on a comprehensive analysis of all of the island’s water systems, to help us fully understand the impact to our aquifers and to consider all the options in regards to water-rationing levels and water use on the island,” said Hite. Customers will receive information from SCE regarding this rationing change and their specific water allocations, as well as information on what Stage 3 conservation measures remain in place. SCE provides electric, water and gas service to about 4,000 year-round residents on the island and its 700,000 visitors each year.